A division of the Unique Maritime Group (UMG) which is one of the world’s leading integrated turnkey subsea and offshore solution providers, Unique System LLC (USA) is participating at the Underwater Intervention show (UI 2015) to be held from February 10th to 12th, 2015 at the Morial Convention Center in New Orleans, USA. Unique System will be present at booth number 116. Underwater Intervention is an industry conference and exhibition, jointly owned by the Association of Diving Contractors International and the ROV Committee of the Marine Technology Society. Over the past 22 years, the event has grown to encompass many industries in addition to Commercial Diving and Remotely Operated Vehicles. Underwater Intervention now includes Manned Submersibles, Instruments and Sensors, Sonar and Acoustics, Ocean Engineering, Marine Salvage and Shipwrecks, AUV and UUV Technology. Unique System LLC (USA) is a part of the Unique Maritime Group (UMG) based in New Iberia, Louisiana and Houston, Texas. The company extends the capabilities of UMG to companies operating within the North American subsea oil and gas, mining and construction sectors. From New Iberia, Louisiana, the company offers diving equipment rentals and sales, saturation systems, new builds, refurbishments, project management and mining & construction tunnel boring machine airlocks. From Houston, Texas, the company embraces hydrographic survey rentals and sales. The major focus for UMG at the show will be the introduction of Unique System LLC (USA) as a stocking distributor of JCM Loadcells. In addition to launching our distributorship with JCM, our other primary focus for diving is highlighting our continuing effort to manufacture equipment that cater to statutory and IMCA compliance. This year we will be displaying one of our common Group products, the Man Riding Winch which complies with all of the IMCA requirements for launch and recovery systems. 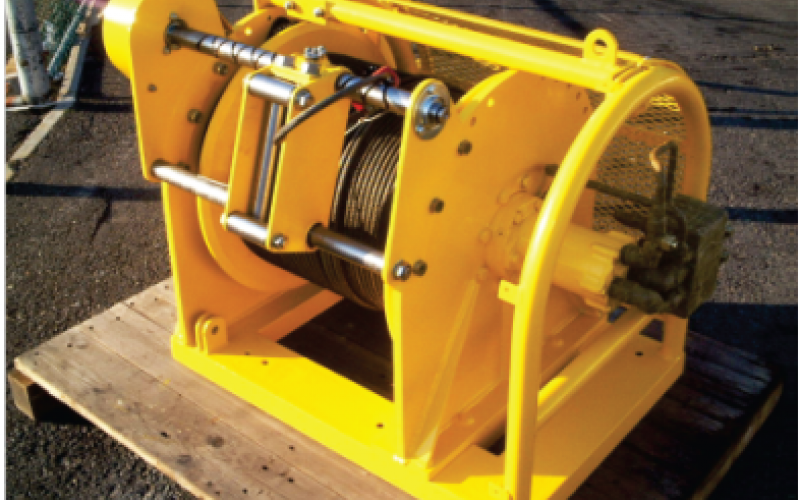 The winch is a good example of a quality product that the Group has in the market. Our focus is also to present our US Gulf of Mexico with an option to the existing models that has led to a great deal of controversy in our industry toward braking systems.